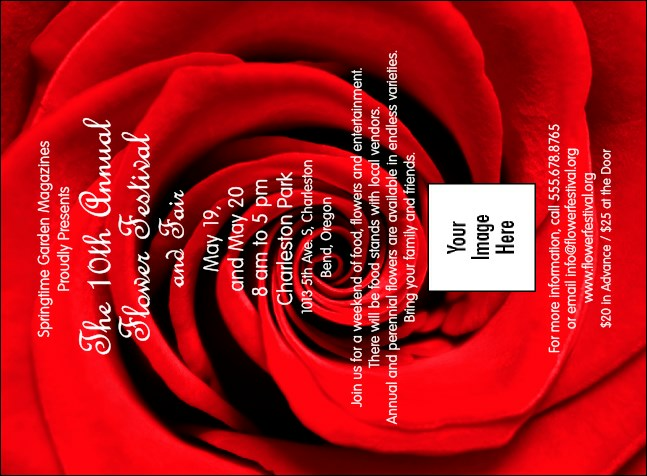 Part of our Red Rose Event Pack, a full bleed, full color, custom invitation template with a red rose background. The Red Rose is perfect for many types of events, including general purpose, prom, dance, Valentine's Day, fashion show, bridal shower, Spring, performing arts, music, and more. You'll never go wrong with the right Invitation from TicketPrinting.com.